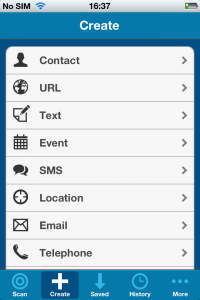 Today we released the latest revision of Optiscan to the App Store. With an all-new look and some greatly enhanced features, this version is the king of QR Code scanners on your Apple device! No more tap to scan! Optiscan now launches straight into scan mode for ease of use. Icon and UI redesign. We thought it could do with a sprucing up, so we tweaked the look to be more up-to-date and utilitarian. What do you think? Enhanced scanning engine. With every release of Optiscan we tweak the scanning software more and more to cope with the plethora of designer codes and locations. 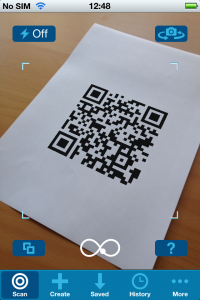 After testing, we scan more QR Codes than any other app! Scan from clipboard. "I can't scan from my mobile browser! ", we heard you cry. Well now you can! QR Codes for Events. We wanted to include this last time, but we just weren't happy enough with the way they where dealt with. Now we are! We hope you enjoy using this version of Optiscan. Show us what you've done with it and we'll pass it on!